We booked a 2 bedroom suite over the weekend for a girls weekend away. Yes it is pretty expensive but it is in the heart of london and in an amazing location. Minutes walk from covent garden, trafalgar square, plenty of bars, shops & the tube. I wouldn't hesitate to pay the cost again. The apartment itself was great. Living room and kitchen then a stair case leading to 2 bedrooms and bathroom. The only small negative is the reception team is so slow. They definitely need more than one staff on at a time. It took us 10 minutes to get our cases back and this lead us to missing our train! I'm glad you enjoyed your stay with us. I take note of your feedback about our staff, I assure you we are working on it. Great location and good value. My â€œmehâ€ rating relates more with the audacity of calling this a four star hotel. Itâ€™s NOT. They donâ€™t service the room, they gave us only one towel, and NO shampoo nor soap. Were it not for the location, and granted more reasonable pricing, Iâ€™d have given it one star. You get what you pay for in London, so keep your expectations BELOW their bogus 4 star rating; 2 star is more like it. I will investigate with housekeeping. We stayed for 3 nights. Staff were fine however the room was average for the price. We had a family room and it was run down. The shower leaked terribly when using it the tv didnâ€™t always work and the fold out bed was dirty with crumbs which means it wasnâ€™t cleaned properly. It was very average. The location was very central and it was the only upside to it. Hotels in this part of London are not cheap and the approximately $300 per night for this one is about right as long as youâ€™re not expecting anything special. The staff were friendly and largely efficient. The lobby area is very pleasant for waiting around and coffee is free 24/7. The rooms are pretty spacious and clean. It was good to have a stovetop and proper fridge. The kitchen has the basics. The bathroom is also very basic - you do not get toiletries other than a multipurpose soap. The towels were also a bit thin. The bed was, however, comfy and you can regulate the heating/air con in the room or even open the window. 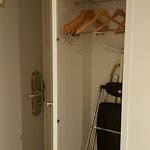 All in all staying at Citadines is pretty quiet (particularly given the busy location), itâ€™s very close to transport, itâ€™s clean and itâ€™s functional. I'm glad you enjoyed your stay with us!